All necessary products to take care of your valuable china and crystal. Made exclusively for Miele, the Care Collection offers a wide range of products to help you not only care for your laundry and dishware, but also ensure the best care for your Miele appliances. Simply perfect dishwashing. 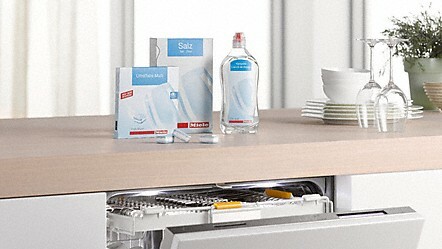 You always take full advantage of the performance of your dishwasher when using Miele dishwasher detergents. 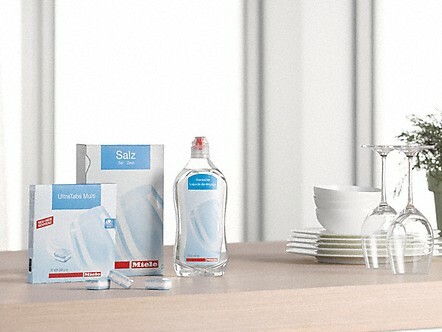 "With a unique combination of intelligent appliance features and Miele detergents, Miele is the specialist for gentle treatment of glasses." Dishwashing programs of different dishwasher manufacturers vary significantly. That is why not all detergents deliver the same results on all dishwashers. Can delicate, expensive wine glasses really be washed in a dishwasher? Yes, perfectly, as long as it's a Miele! 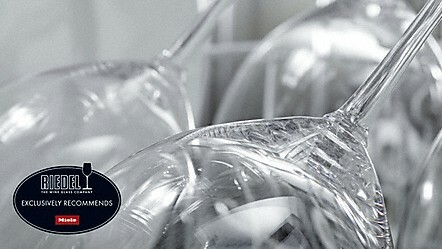 With a unique combination of intelligent appliance features and Miele detergents, Miele is THE specialist when it comes to gentle care of glassware. 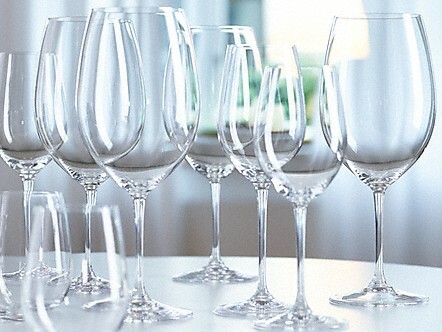 The result: Sparkling clean glasses without manual polishing.